Shared bathroom, living room and kitchen. 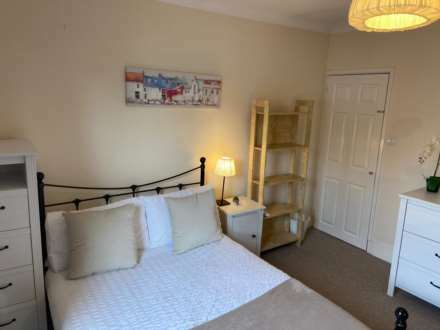 Room 4- Avail: Let Agreed! 6. PROFESSIONALLY MANAGED and FULLY MAINTAINED by our professional team. We are qualified Professional Property Management Agents/Landlords with a Certificate of Accreditation from the Guildford Council. 1. 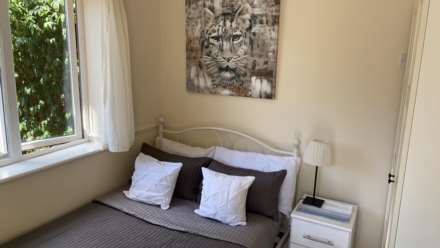 Quality Furnished Single/Double rooms in a quiet 3-5 bed household. 2. Most houses have 4 bedrooms and a maximum of 4 occupants sharing one bathroom. 3. Some houses have two bathrooms and an extra toilet. 4. 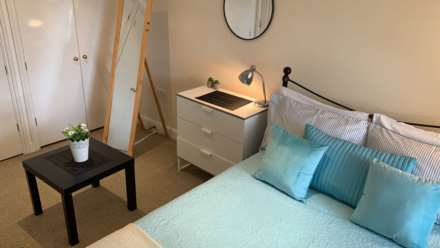 Close to the Centre of Guildford, Main Line Train Station, Research/Business Park/Surrey University. 5. Students can obtain a bus pass from the university for around £160/anum for multi travel. 6. Personal Privacy in your rooms and share communal areas as necessary. 7. Locks provided on bedroom doors in most of our houses. 8. Excellent public transport by bus Approx. 15-20 min to the town center or university. 9. 5-15 minutes by car depending on traffic. 10. Walking distance of 5-40 minutes max depending on location. Please check google maps for more accurate distances times etc. a)	Professionals only: Minimum 6-12 months contract. b)	Students: Minimum 12-month contract. EARLY RELEASE OF CONTRACT POSSIBLE ONCE A SUITABLE REPLACEMENT IS FOUND. 4. ZERO deposit scheme AVAILABLE. 9. A monthly HMO service fee of £10/month is payable to manage the household of multiple occupancies and to arrange maintenance which would otherwise have been at the tenant`s inconvenience and expense. Example: Meeting contractors on behalf of the occupants and some urgent call outs for tenant-related/responsible issues.